Fall & Halloween ~ Colorful, Fun and Festive ! Fall arrives in all its glory at Valley View Farms! So grab the kids and the camera, and come on out. During early fall at Valley View Farms, you will find thousands of pumpkins of all sizes, including the giant pumpkin. Just how many seeds in the giant pumpkin??? Enter a guesstimate for a chance to win a Valley View Farms Gift Card. By mid-September, there will be plenty of hardy pansies, over 50 varieties of mums and an enormous selection of trees, shrubs and perennials to add beautiful fall color to your gardens and containers. 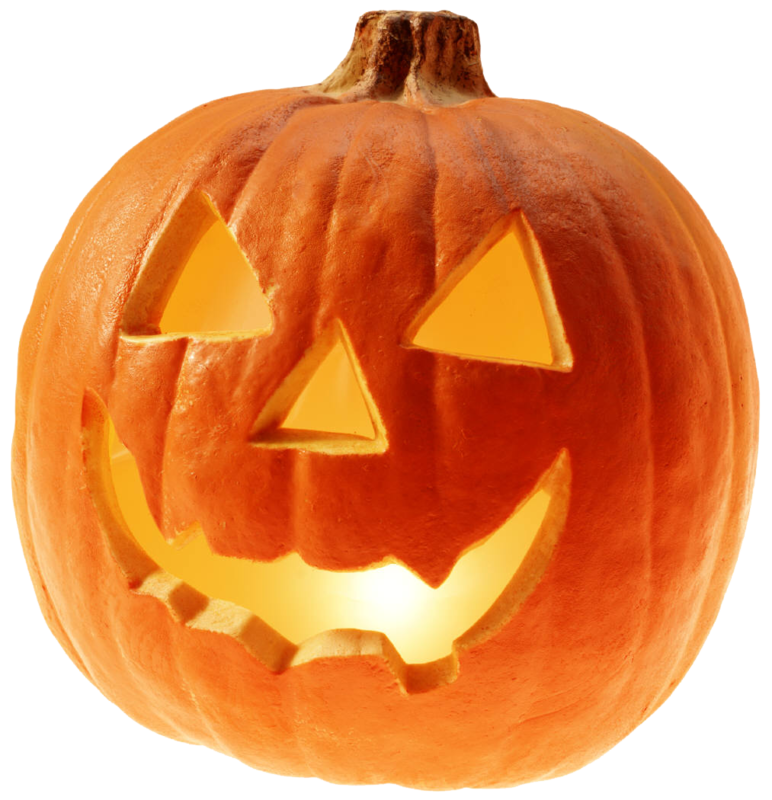 In addition to pumpkins of all shapes and sizes, we carry a huge assortment of gourds, Indian corn, corn fodder, and much more. 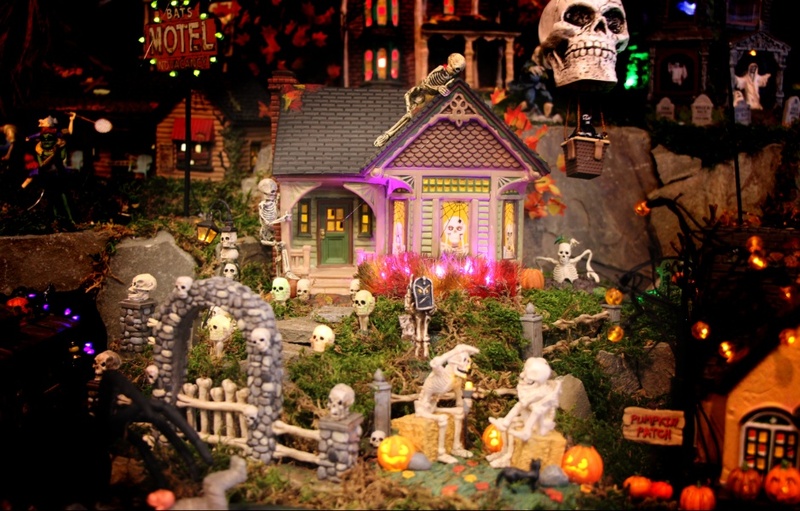 Don't miss the incredible Department 56/Lemax Halloween Village display by the front entrance of the store. The Halloween Shop is better than ever, with masks and decorations of all types, plus the FREE Haunted Halloween Tunnel, and the Straw Maze for the little ones! Valley View Farms International Christmas Shop and main Christmas store are open this time of year as well, with every holiday decoration imaginable. 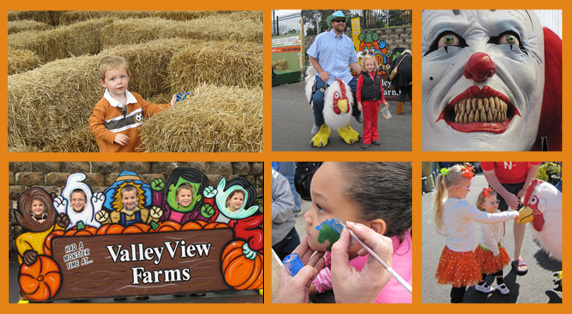 Don’t miss the fall excitement going on now at Valley View Farms. Tidy up! You'll be glad you did when spring comes faster than you imagine, and with it a long list of new chores. Clean, sharpen, oil and organize your garden tools. Edge your garden beds. Continue dead-heading any daisy-flowered perennials and annuals like Echinacea, Rudbeckia and Heliopsis. These will continue flowering for weeks if you prevent the flowers from forming seeds. Remove any perennial weeds that have invaded the garden. A non-selective herbicide is a good way to remove the spreading types, applied carefully while the weather is still warm and the weeds are actively growing. Remove any annual weeds that are going to seed. Throw these in the garbage, not in the compost pile or next year there will be ten times as many. Empty your compost bin. Early fall is a great time for this, since it makes room for all those leaves, dead plant tops, etc. that you will have on hand in another few weeks. Shut off outdoor faucets and disconnect hoses. Walk through your garden; take pictures, make notes, start a scrapbook or do anything at all that allows you to remember the past season with its successes and challenges in detail.